Monarch Air Group provides private air charter in Ontario, Canada. Our clients benefit from top-notch service, unrelenting dedication to safety, wide selection of aircraft, and years of experience in chartering private jets. To obtain a free quote, please use our online quoting tool provided below, or call toll free 1-877-281-3051. Monarch Air Group provides private jet charter flights in and out of Ontario, Canada. Ontario is a province of eastern Canada, between Hudson Bay and the Great Lakes. Ontario is home to Ottawa, the capital city of the nation, and the Toronto, the nation’s most populous city. Sometimes Ontario is conceptually divided into two regions, Southern Ontario and Northern Ontario. Ontario is a leading manufacturing province of Canada. 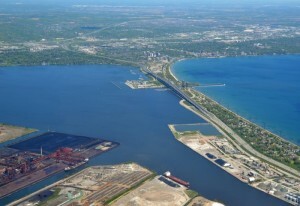 The American state of Michigan is the largest trading partner of Ontario. The important airports are Toronto Pearson International Airport, Hamilton’s John C. Munro Hamilton International Airport and Ottawa Macdonald-Cartier International Airport. 1. YOG, Ogoki, Ogoki, Canada.